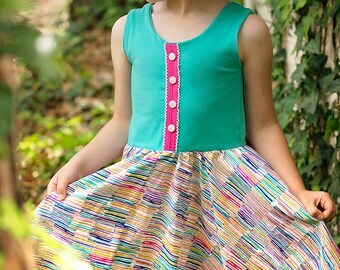 Girls summer dress. This sweet new style is a wardobe staple for the summer! Made from a soft cotton/lycra blend, it features dolman-style sleeves and an adorable pocket on the chest. 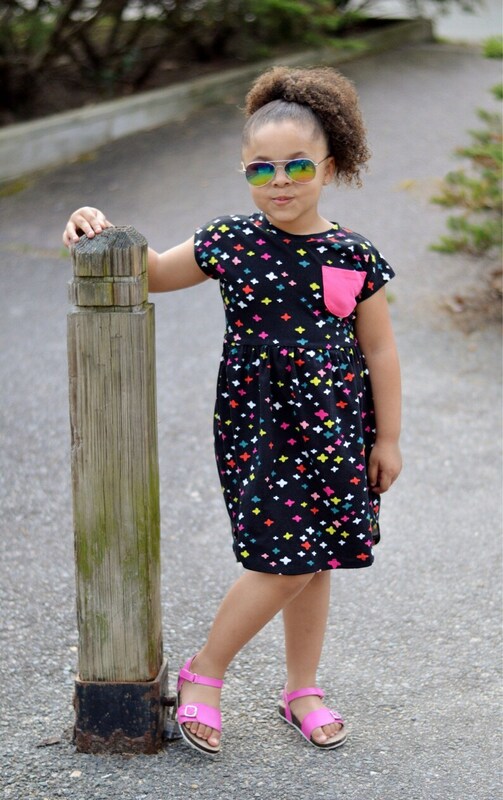 Your little girl will love this fun print, with a bright abstract design on a black background. Hem hits at knee and has a high-low design. 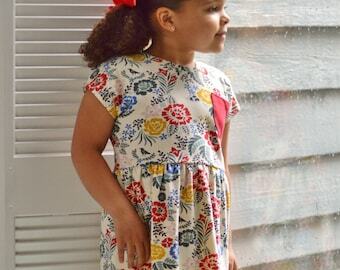 Available in girls and toddler sizes, this dress is the start of the perfect summer outfit!